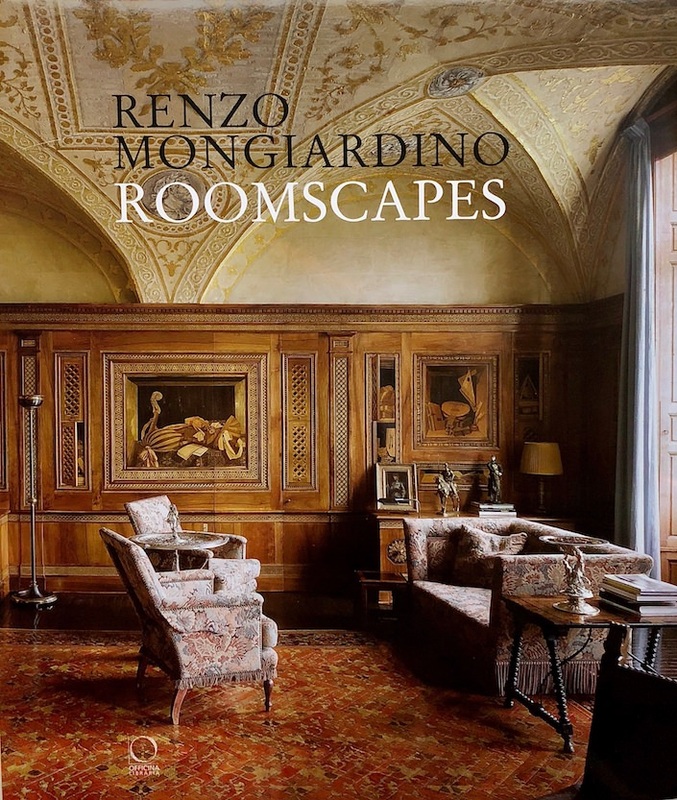 For those of you who just can’t get enough of the masterful vision of Renzo Mongiardino, add the reissue of Roomscapes to your list. Originally published in 1993, the new version, edited by his granddaughter, Francesca Simone, came out somewhat quietly last year. 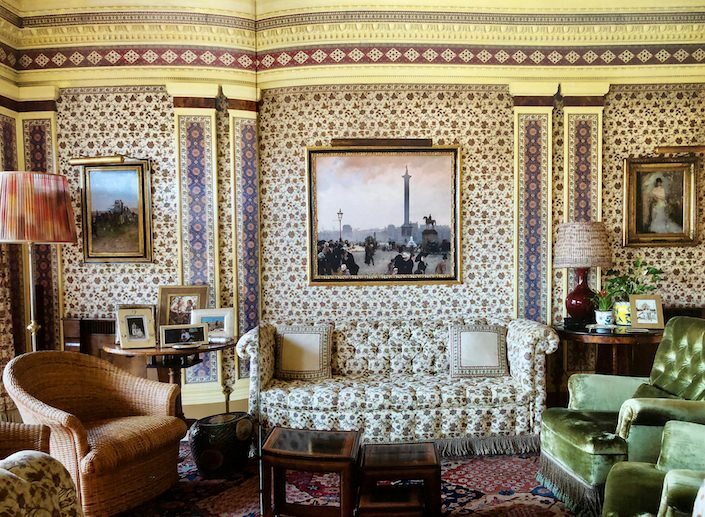 Part one explains the genesis of a room including sketches and maquettes, detailed analysis of space, function, decoration, inspiration and the appeal of the exotic. 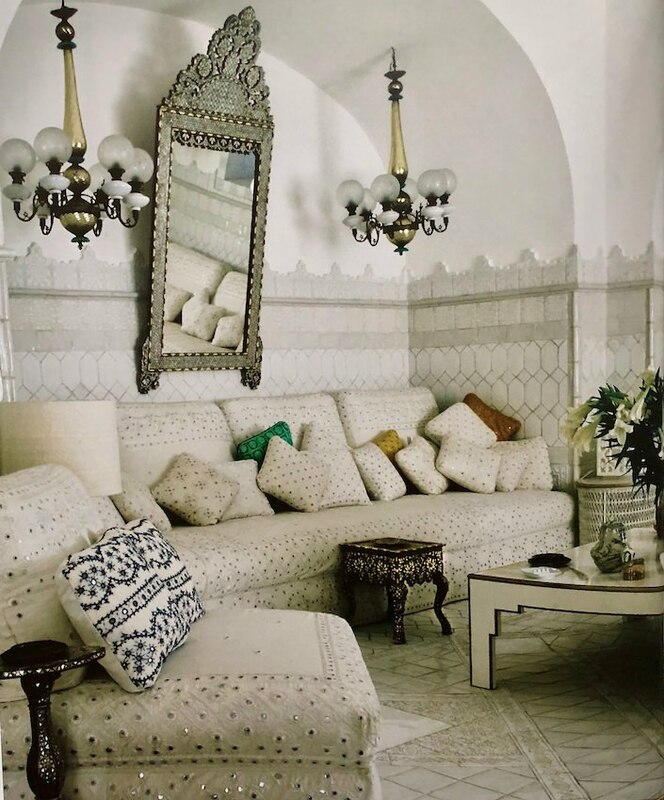 For a characterless room with a single window in an apartment in Palazzo Odescalchi in Rome, Mongiardino recalled a a Turkish tent he had seen at a museum in Stockholm. His brilliant solution resulted in the splendid room above, with one of the original sketches by Romolo Paganelli below. One room after another illustrates the creative brilliance and meticulous artisanship produced by Mongiardino and his team of craftsman. 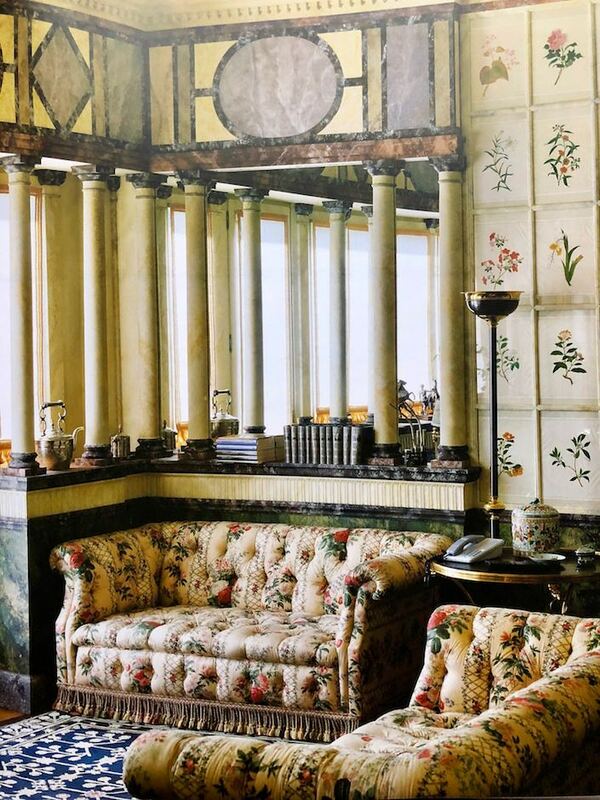 You could never guess that the beautiful sitting room below existed in a post-war building in Milan, with its clever architectural conceits and botanical wall treatment that feels so right for today. 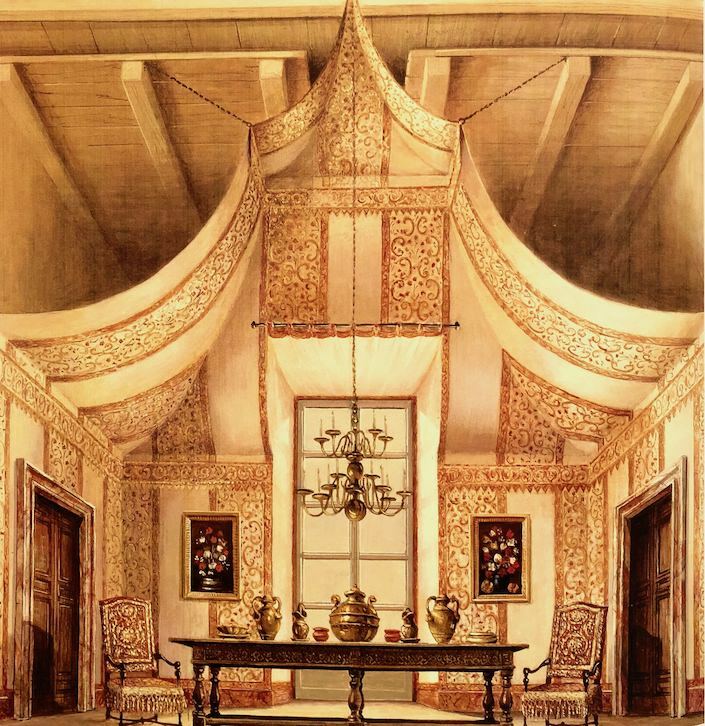 Turkish revival, particularly the paintings of Jean-Etienne Liotard supplied Mongiardino with ample inspiration. 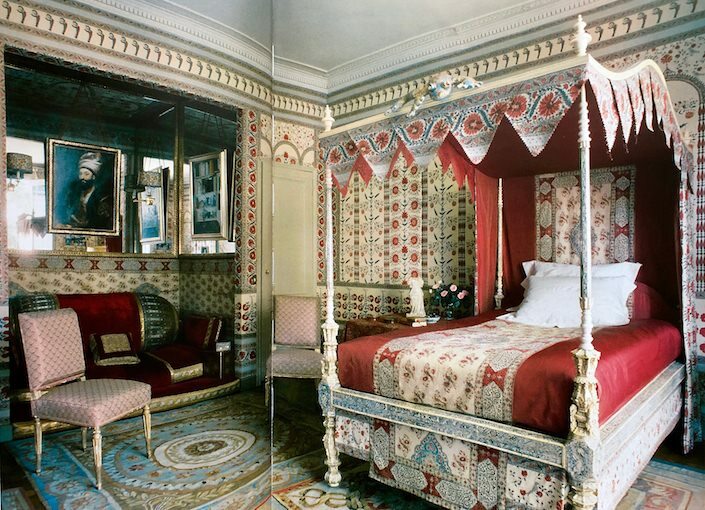 In the Parisian bedroom below, he took his cue from an Indian bed, enveloping the room in “an architecture of printed fabric” including the classic Braquenie Les Colonnes. 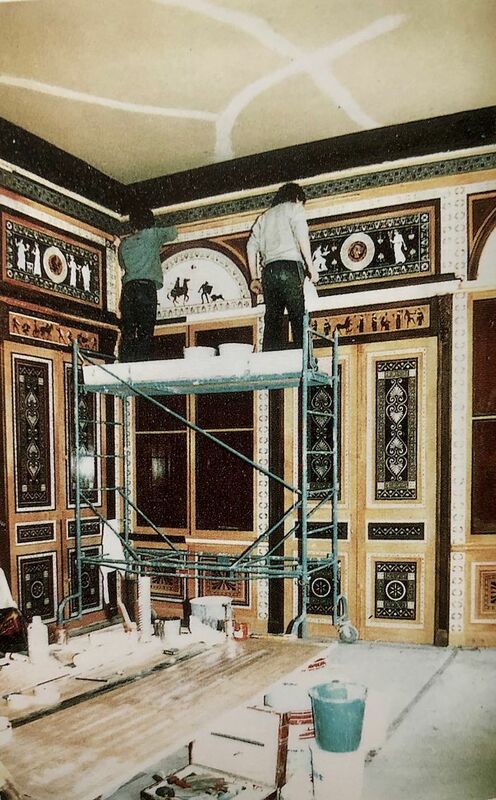 Below, a small model in painted wood of the first version of the living room of Villa Tre Ville in Positano, 1970 with mirror inserts. In the final version, inspired by the work of the local craftspeople, he used white enamel tiles to form a tall wainscoting. 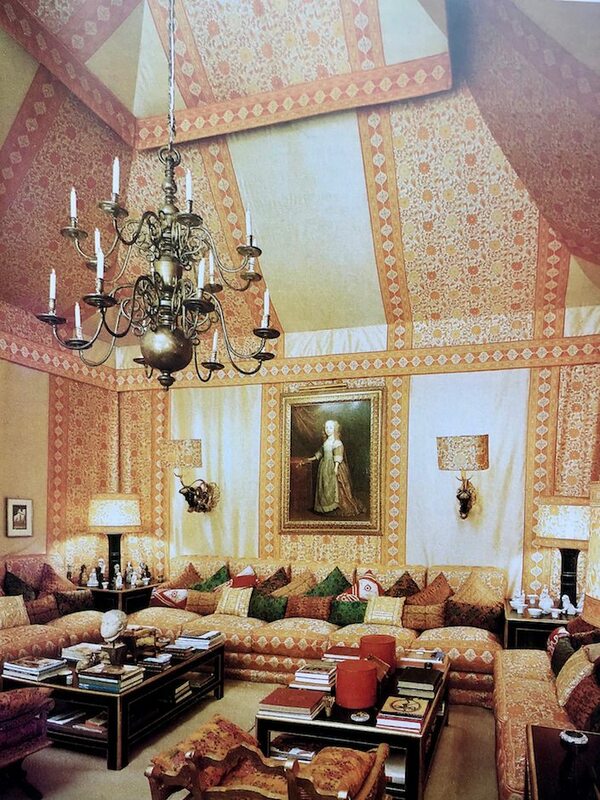 In the 1960’s, when Indian fabrics began to arrive in Europe, Mongiardino was inspired to create rooms, like the now famous London drawing room he designed for Lee Radziwil, entirely swathed in these colorful textiles. Below, an apartment in Milan from the mid-1980’s. 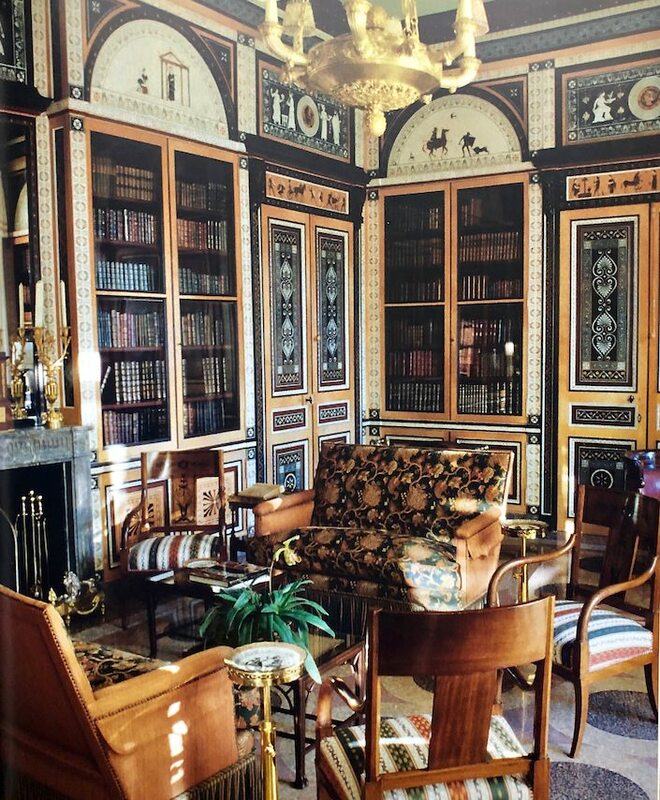 And in Villa La Leopolda in Villefrench-sur-Mer, it was Etruscan vases that inspired the decor of the library. 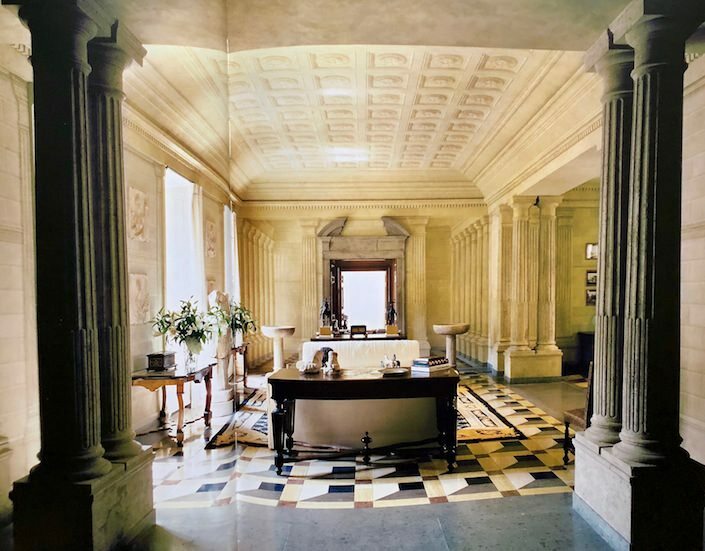 You can see this “neo-Etruscan pastiche” being executed by Anchise Roncato and Claudio Briganti in the room below. 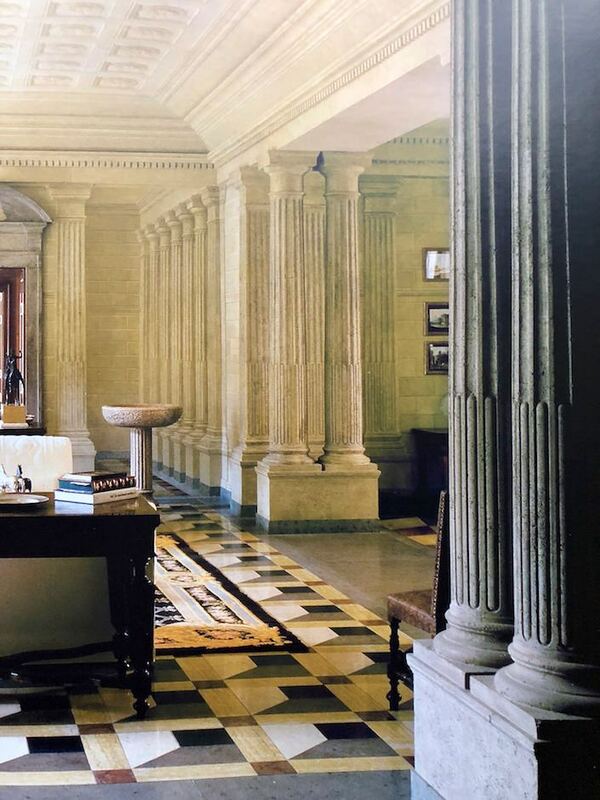 But, as Mongiardino explains, it is not merely the strict imitation of the original materials but the creative use of them that makes for successful decoration. It is this and many more instructional and inspiring illustrated lessons that makes Roomscapes a must have for any serious design library. This entry posted in architecture, art, art history, books, interior design. Entry Tags: art history, Books, Design Books, interior design, Renzo Mongiardino Bookmark the permalink. Stacey, thank you for bringing this to our attention. I love the rooms you have shared and can’t wait to see the rest of the book. You continue to broaden our world with every post! My copy of the first edition is almost worn out. I hope the text — obviously translated from Italian with no thought towards subtle accuracy for intent — was edited. Also, most of the anonymous clients have since been identified one way or another. It is certainly worthy of a reissue! 80 queries in 0.589 seconds.